Whether you just want an easy relaxing foot massage, or a deep tissue shiatsu kneading massage - you can easily adjust the intensity of the message and choose between 3 different pressure levels! 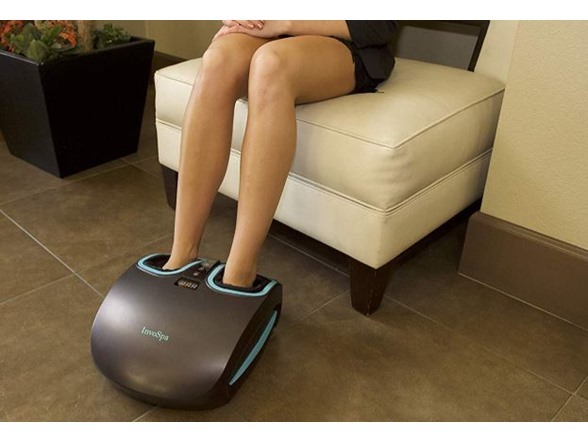 It is designed to fit the preference of any user or specific massage session, controlled by 2 independent air chambers that cover the entire foot surface. 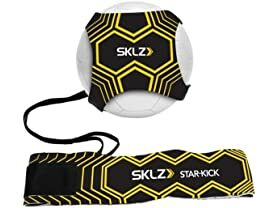 The air compression function can be used purely by itself as to promote better blood circulation, or together with the diffident massage functions. 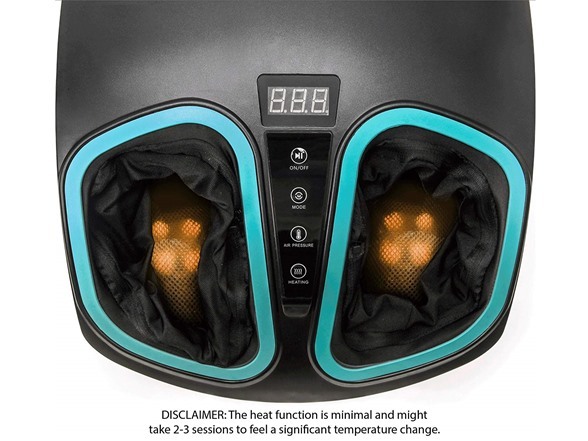 INFRARED HEAT FUNCTION (light warmness) - Improve blood circulation, relieve muscle tension, tired feet, neuropathy, chronic nerve pain and plantar fasciitis by turning on the heat function. ADJUSTABLE INTENSITY - Whether you just want an easy relaxing leg massage, or a deep tissue shiatsu kneading massage - you can easily adjust the intensity of the message and choose between 3 different pressure levels! 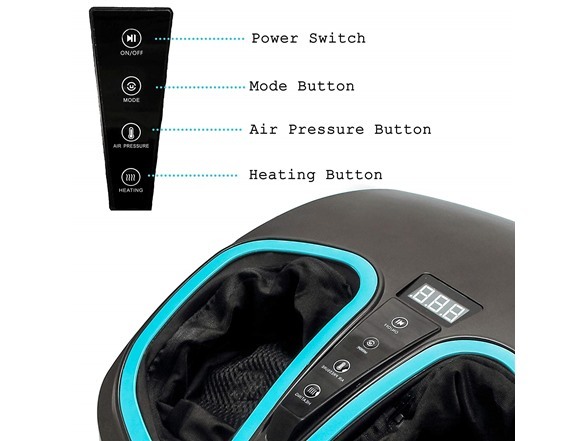 SHIATSU MASSAGE & AIR COMPRESSION - 2 independent foot chambers provide a wonderful combination of shiatsu kneading and rolling massage therapy, while the air pressure applies pressure to all parts of the foot. 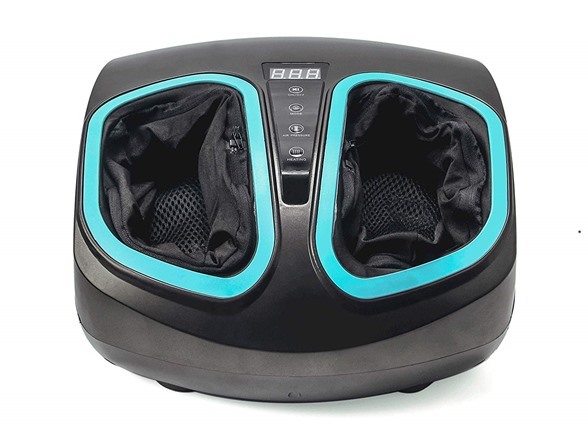 BI-DIRECTIONAL MASSAGING MODES + ONLY AIR COMPRESSION MODE - this massager provides a bi-directional massaging experience, you can change the kneading direction in a press of a button. 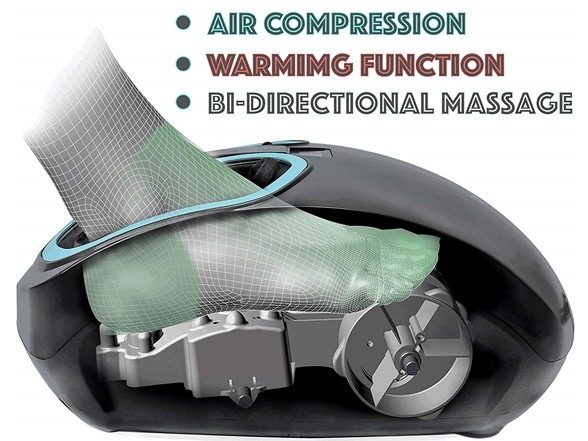 There is also an extra mode for only air compression with no Kneading. The foot massager has many mini Ergonomics massage heads, which can massage more acupuncture points. 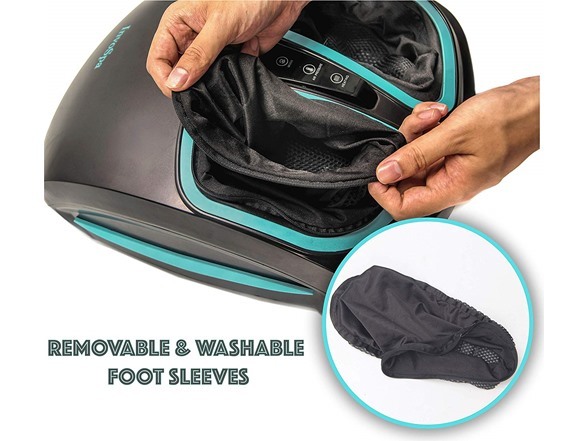 WASHABLE FEET POCKETS - With the foot cover being removable by a zipper, the electric foot massager machine is extremely easy and convenient to keep clean all the times. 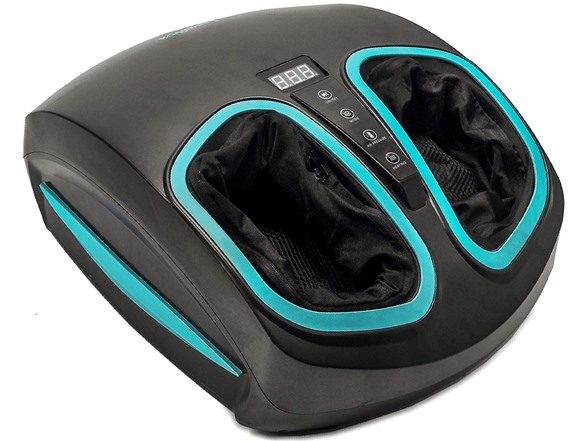 This durable shiatsu foot massager would be a great gift idea to any of your loved ones!